More than 30 years after it was originally recorded and released, Nonaah remains a difficult and wondrous listen. Remastered with several bonus tracks included, the album clocks in at two hours now and sprawls across two CDs. Throughout them, Roscoe Mitchell demonstrates how pliable and expressive one instrument, in his case the alto saxophone, can be. This is the work that some critics named the best jazz record of 1978, quite an accomplishment for an album that features a horn alone most of the time, including on the fiery, 22-minute title track, which originally took up all of side one. Mitchell digs his heels in on the single line that constitutes the tune’s melody-a line first created for the Art Ensemble of Chicago’s “Fanfare for the Warriors”-until he finally allows it to stretch and develop. I’ve never heard this music on vinyl, so I can’t compare the fidelity to the original, but the sound quality of the Nessa reissue is absolutely beautiful. It sounds as thought it was recorded this morning, it’s so crisp. Nonaah no longer seems as dangerous as it might have in the ’70s-we’ve been through David S. Ware, Evan Parker, Charles Gayle and many others since then-but as a statement of avant-garde improv it stacks up well against anything released in 2008. Mitchell’s duet with Anthony Braxton, playing sopranino saxophone, on “Off Five Dark Six,” still raises hairs. 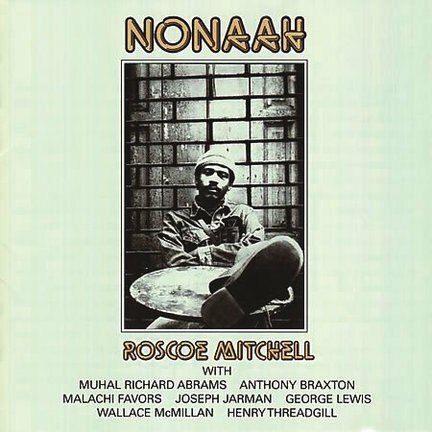 And Mitchell’s quartet of alto saxes-with Joseph Jarman, Wallace McMillan, and Henry Threadgill-that revisits “Nonaah” could conjure a cyclone any day, anywhere. The bonus material is illuminating, particularly the final cut, a solo performance of “Off Five Dark Six” where he seems determined to see how many different ways he can play one note. But I could have done without “Chant,” which is nothing more than Mitchell blowing the same short pattern over and over for nine minutes.